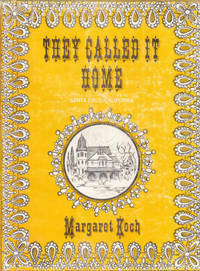 Home > Black Cat Hill Books > Culture on the Moving Frontier. Culture on the Moving Frontier. New York, NY Harper & Row: Torchbooks, 1961. Paperback First Edition Thus , so stated. The first hardcover edition was published in 1955. First Edition Thus , so stated. Very Good in Wraps: shows indications of very careful use: light wear to extremities; mild rubbing to wrapper covers; the upper corner tip of the front endpaper is torn off; the binding leans ever so slightly off square, but remains perfectly secure; the text is clean. 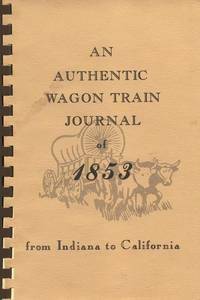 Free of any ownership names, dates, addresses, notations, inscriptions, stamps, plates, or labels. Remains a handsome copy, showing mild wear. NOT a Remainder, Book-Club, or Ex-Library. 8vo. (8 x 5.35 x 0.55 inches). 275 pages. Language: English. Weight: 10.2 ounces. 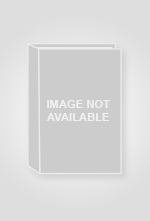 The first hardcover edition was published in 1955. Trade Paperback. Title: Culture on the Moving Frontier. They Called it Home: Santa Cruz, California. 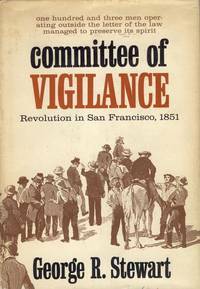 Committee of Vigilance: Revolution in San Francisco, 1851. 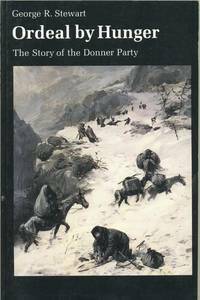 Ordeal by Hunger: The Story of the Donner Party.